Craft Brewers of Boise’s focus is local & quality Home-brew ingredients, Educational experience, Local Craft Beers, Local Wines and Ciders. Bringing positive growth to the community by sharing the best of Boise’s craft beers to people and providing information on new or touring travelers. Craft Brewers of Boise’s focus is local & quality Home-brew ingredients, Educational experience, Local Craft Beers, Local Wines and Ciders. Bringing positive growth to the community by sharing the best of Boise’s craft beers to people and providing information for new or touring travelers. This retail location will offer tourists and residents of Boise a way to experience the art of our locally talented brewers. For tourists, we have teamed up with the local associations to offer additional information for travelers wanting to see more of what the city has to offer. For locals, we will carry the largest selection of local craft beers, wines and ciders for take-out and on-premise drinking. Our staff will be extremely friendly and help with selection questions and help in the home-brewing room. For the home-brewer, we will have access to our local hops directly from our Idaho farmers. 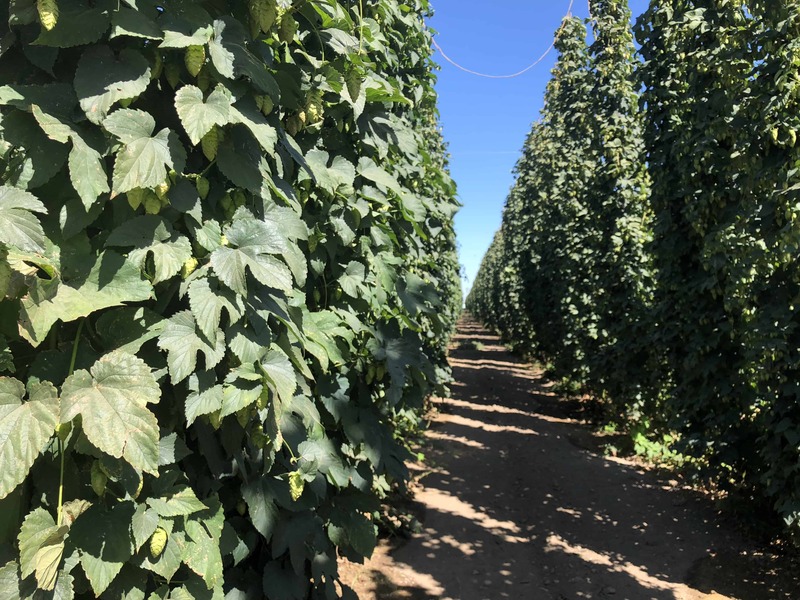 For strains that are not in Idaho we will be working with farmers in our neighboring states of Oregon and Washington, while also bringing in rare hops. Having access to ingredients the same way a professional brewer does allows people to improve their craft and get the best out of what they’re doing. The store will also have a wide selection of book rentals to read in the store or take out for a week while they are brewing at home. In addition to having access to books, we will host brewer seminars with some of the top brewers in Idaho. These seminars will be hosted during the week when the neighboring businesses are closed to not impact their hours of business. The Taproom as an addition will be focused on specialty, limited edition and small barrel brews where locals and tourists get to experience something new every time. We will be rotating taps frequently and working directly with the brewers and distributors to have a unique taproom experience. Our long-tail selection of beer, wine and cider will be available in cans and bottles, located in our walk-in cooler. Our selection will be 100% local, which sets our place up with a one of a kind experience. Customers will have access to an unbeatable Idaho selection from our finest brewers of the state. If you would like to stay updated on news and events, please subscribe and we'll keep you informed!